Conrad has always been one of my touchstone authors and Heart of Darkness and important and key work for me. Conrad doesn't mention Ghana (or the Gold Coast as it would have been known to him) in the book. The references above to "Gran' Bassam" (currently Grand-Bassam in Côte d'Ivoire) and "Little Popo" (currently Aného in Togo) book-end today's Ghana. One of the geographic features of the Gold Coast was it's poor natural port. 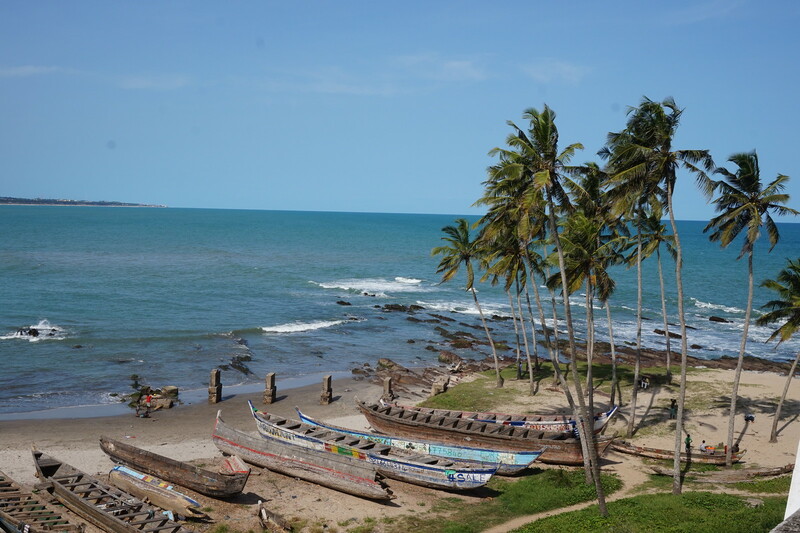 In the 19th century, visitors to Accra would anchor off the coast and come ashore in surf-boats (which most travelers despised!). No surprise then that Marlow's French steamer passed by Accra.